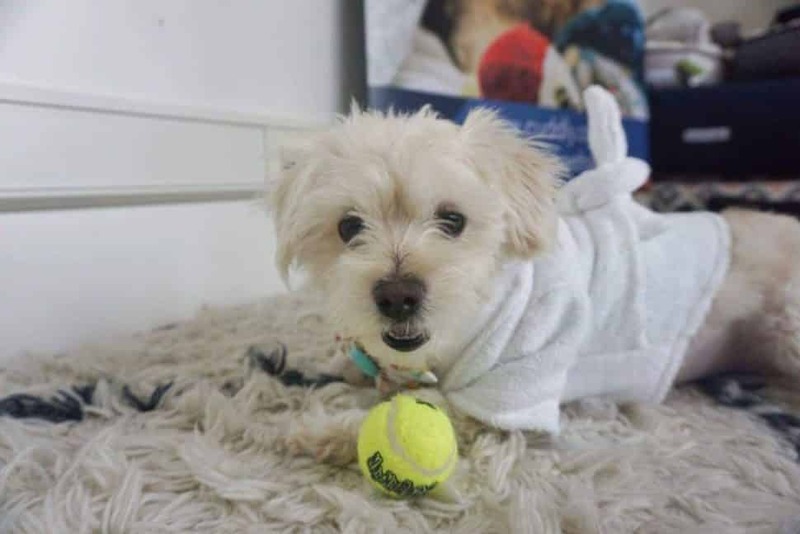 On Saturday, the public will finally be able to meet Chloe, the little white terrier who about four months ago became the poster puppy for animal abuse after she survived some real nastiness. Chloe was rescued by and received veterinary rehabilitation from Fix Long Beach, and her story, which the Long Beach Post broke in December, continues to spark demands for information about who would do and actually did such things to a helpless animal (we’d all like to know, but there are no reported leads). 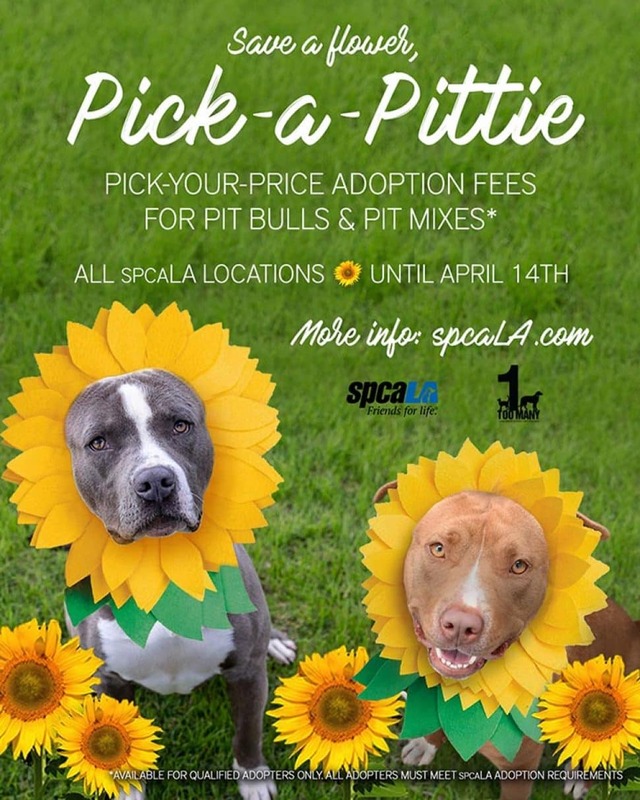 People continue to post a comparable number of demands and pleas to adopt Chloe on both the Saving Chloe and Fix Long Beach Facebook pages, many begging to be first in line and just as many hoping for a happy home. 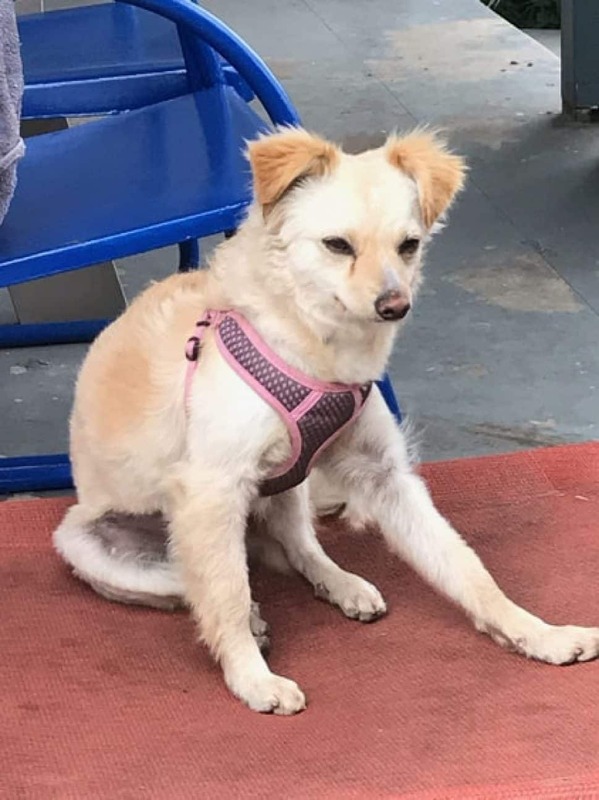 The viral spread of Chloe’s story sprung the little dog to local and global celebrity status—a sad springboard indeed, but it understandably brought out a desire of so many to take her home with them and keep her safe. Like every dog, though, Chloe puts on her harness one leg at a time. Her story is more horrifying than nearly anything made public about a tormented or abandoned animal, but every pet you find in shelters, in rescues, and outside at the mercy of nature or thoughtless, cruel people has a story. Chloe’s meet-and-greet will give you an opportunity to give her a hug and get a kiss back (one poster said that Chloe’d better get a good night’s sleep on Friday in anticipation of an adoring fan base), but you’ll also be able to adopt a pet that no one else wanted but deserves as happy an ending to their story as Chloe’s bound to have. Here are a few of them who’ll be wagging their tails at the event. Bonita is a cute little Yorkie mix. 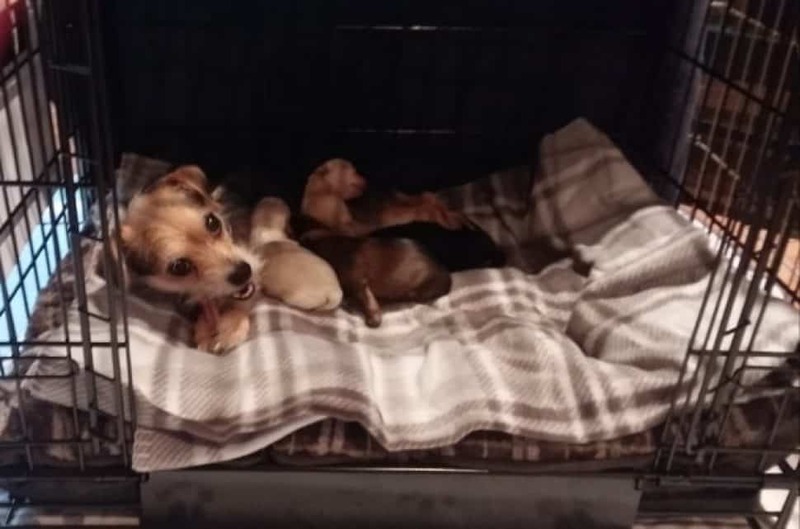 She and her five puppies, now 9 weeks old, were part of a hoarding case and were pulled from Long Beach Animal Care Services on medical waiver until their case was resolved. They officially became Fix Long Beach dogs a month ago. Photo courtesy of Fix LongBeach. Rudy is a sweet, energetic little min pin who’s just as content to hang out in your lap. 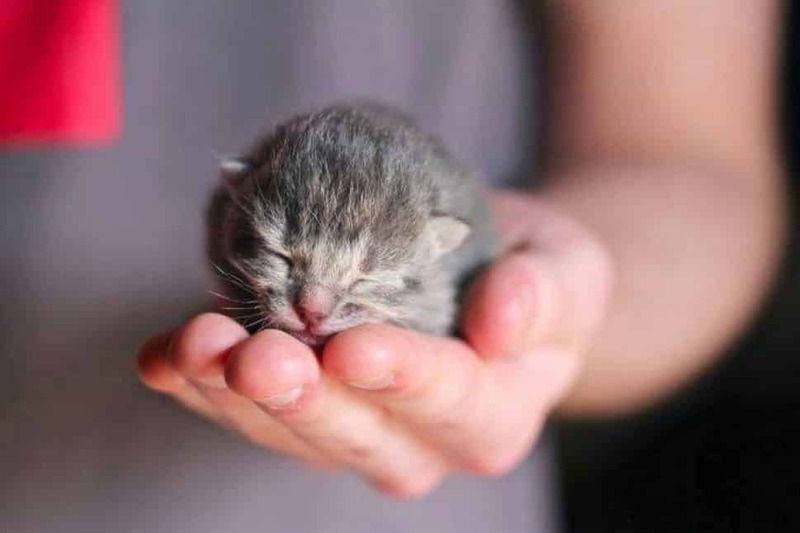 He was rescued when someone discovered him being sold on Craigslist. He’s great with other dogs; he’s fixed and microchipped and is up-to-date on vaccinations. Photo courtesy of Fix Long Beach. Cleo was found as a stray. She’s sweet and very playful and is great with other dogs, cats and kids 1 to 2 years old. She’s fixed and microchipped and is up-to-date on vaccinations. Photo courtesy of Fix Long Beach. We love seniors. Senior pets often have special needs, and they need special care and special people who’ll give it. 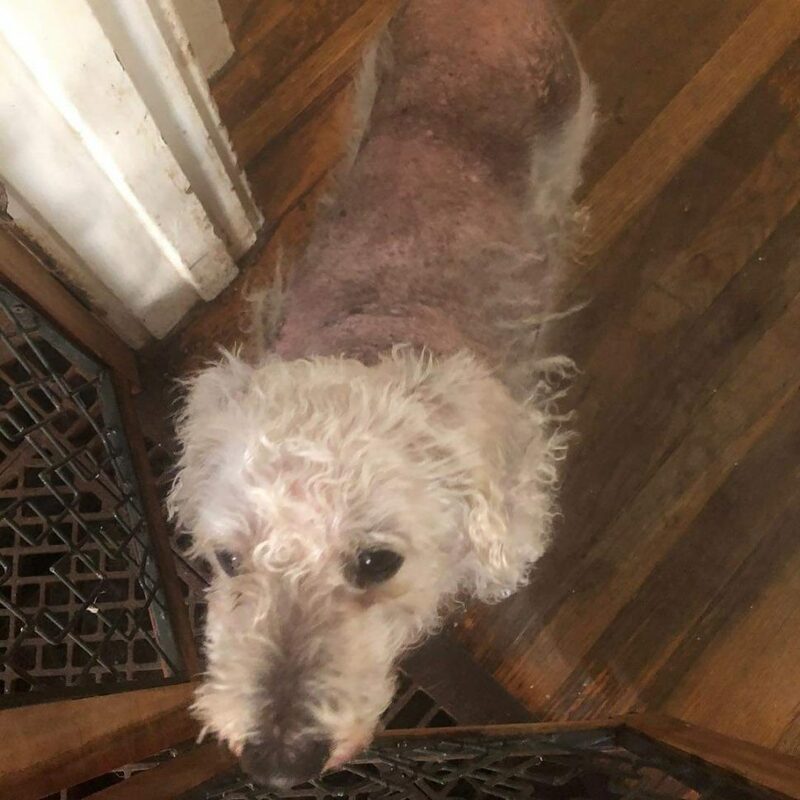 Beatrice is a sweet 10-to-12 year-old poodle mix who was found as stray. She has Cushing’s disease, an endocrine disorder that requires lifetime treatment. Because Beatrice’s disease was never treated, she also lost most of her hair and had severe dental disease. She’s now had a complete dental extraction (poor Grandma has no teeth left!) and also had some lumps removed. She needs daily medication for the Cushing’s disease and eats only a soft-food diet. She has never let any of that yucky medical stuff get her down, though—just give her a squeaky ball and you’ll soon be chuckling at her antics. Her fosters want her to live out her days knowing nothing but love and kindness. She’s good with other dogs, so she can be some young cuss’s granny! Photo courtesy of Fix Long Beach. 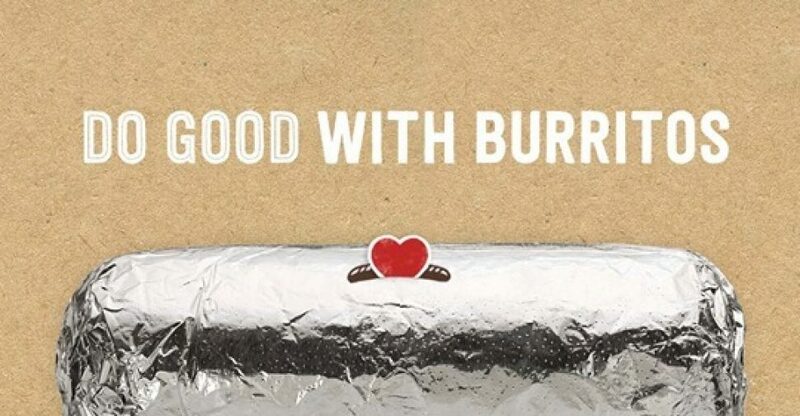 Sparky and the Gang fundraiser, Thursday, April 4, 11 a.m–9 p.m., Avila’s El Ranchito Restaurant, 209 Main St., Seal Beach, menu prices apply. 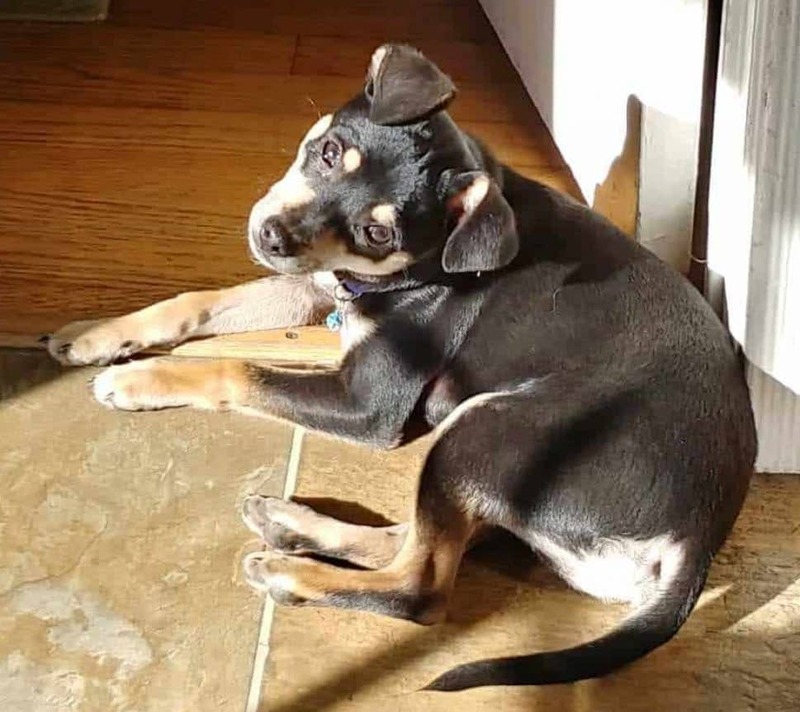 FAR Side Journey animal rescue is hosting a fundraiser for Sparky and the Gang, another rescue, to show gratitude for the Sparky folks jumping in to help with the little rescue dog Charlie, shown in the photo. As help to defray Charlie’s medical expenses, Avila’s will donate 20 percent of the daily tab—and that includes carry-out. FAR Side will be there from 5 to 8 p.m. with raffle prizes, and Sparky and the Gang will be showcasing some adoptable dogs. 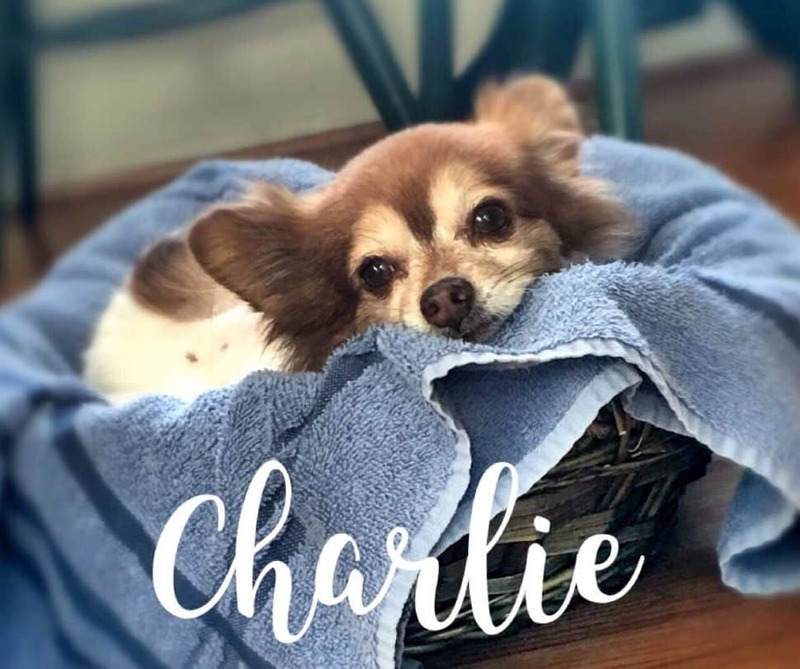 Charlie will be guest of honor, and he’s looking for his forever home, too! Both organizations thank El Ranchito’s owners, Elyse and Zachary Avila Smith, have rescue kitties and have rehomed dogs from Korea and China as well as kitties. 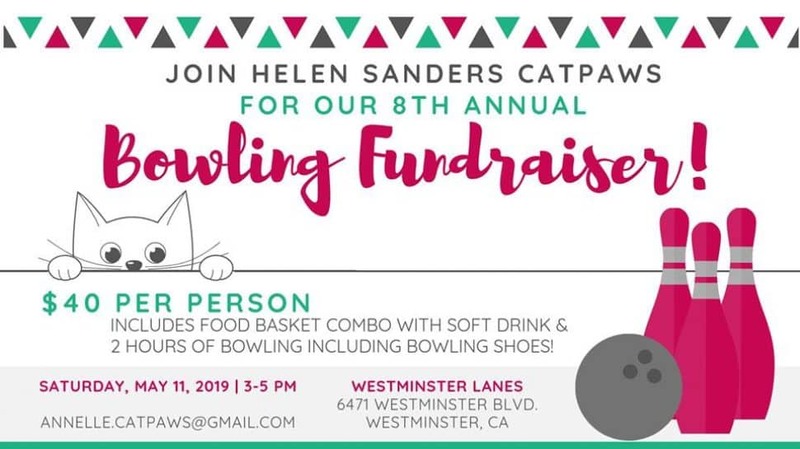 Come join us—the food is amazing! 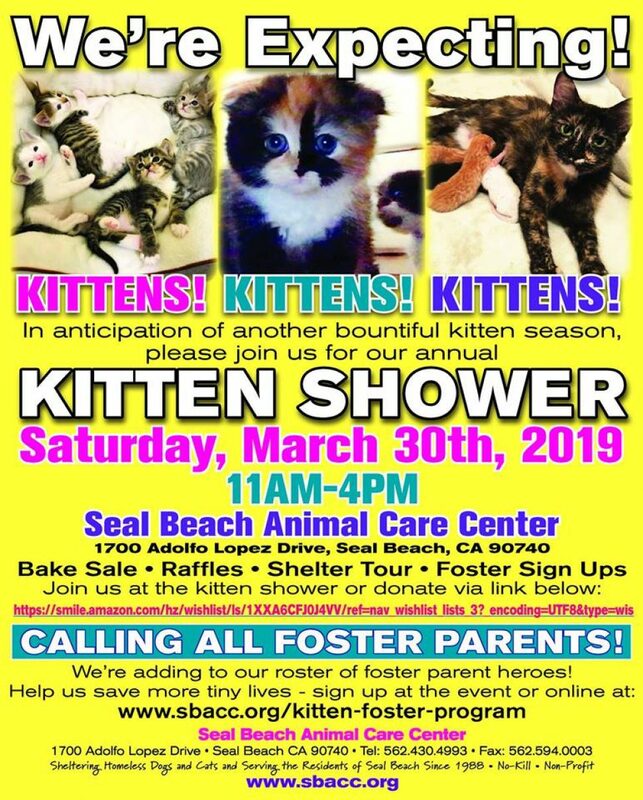 Feline Good Social Club Grand Opening: Saturday, April 27, 10 a.m.., 301 Atlantic Ave., Long Beach, adoption fees apply. 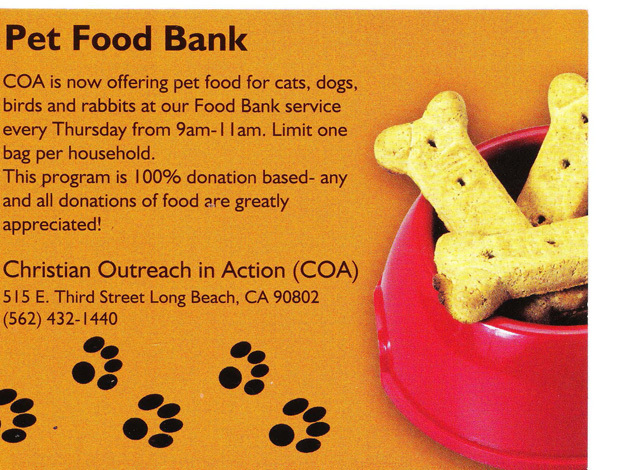 Pet food is available at Beacon for Him Ministries, 439 W. Anaheim St., Mondays from 9 a.m. to noon and Saturdays from noon to 3 p.m. A dog-washing station with a stainless-steel tub is also available onsite at these hours. Donations and supplies such as shampoo, flea control meds and pet food are always gratefully accepted.